ICAgile's Agile Testing Track covers topics including agile testing strategies and techniques and test automation. Explore the collaborative and systematic nature of agile testing so you can build quality into your software solutions every step of the way. The Agile Testing Track consists of two knowledge-based certifications: Agile Testing and Agile Test Automation. The pinnacle of the Agile Testing Track is the ICAgile Certified Expert in Agile Testing, which validates your ability to test and produce the highest-quality software. Once you’ve obtained the abovementioned certifications, you can pursue the ICAgile Certified Expert (ICE) certification in Agile Testing. 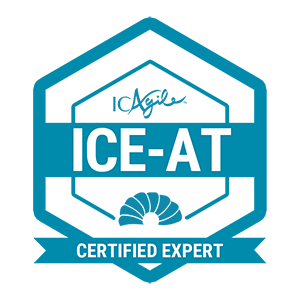 ICE certifications are recognized and respected by Agile thought leaders as an endorsement of genuine competence. They are only awarded to professionals who demonstrate competence real-time in front of an expert panel. This course is very informative and I learned some new tools to help my agile team perform better testing.